The Astros Defeat Hurricane Harvey. THE THRILL OF VICTORY. THE AGONY OF DEFEAT. THE GRACE OF SPORT. 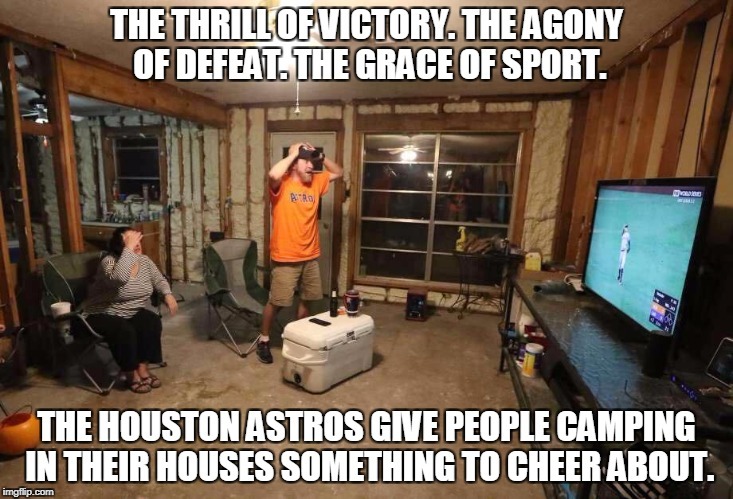 THE HOUSTON ASTROS GIVE PEOPLE CAMPING IN THEIR HOUSES SOMETHING TO CHEER ABOUT.